For fans of the Pakistani cricket team, Mohammed Amir is a tough nut to crack. On the one hand, he’s one of the best fast-bowlers that the side has ever seen - on the other, he’s been in the midst of a serious corruption scandal in recent years. Thankfully, the youngster was given a lenient sentence because of his youth and willingness to confess, and the reformed sportsman recently returned to cricket. His willingness to admit to his mistakes and serve out the ban with which he has served has made him into a role-model for sportsmanship. But just where did Mohammed Amir come from, and why was he banned from the sport? Amir was born in a rural region of Punjab, the youngest of seven siblings and part of the Kotla tribe. His obsession with cricket started early, and from a young age Mohammed Amir was playing street cricket with his friends and siblings. This often involved emulating one of his heroes: "Wasim Akram is my favourite, he's my idol.” Amir said. At the age of just 11 he was spotted by a scout and invited to join a local sports academy, where his talents were honed and he was picked for the national U19 team at the age of just 15 - by his hero, Wasim Akram. In 2009, aged just 17, Amir was picked for the national team; the first match that he played was an international World Twenty20 tournament. The game he played was so impressive that the young player was picked for every game in the tournament following his debut. In 2010 the first allegations of match-fixing surfaced, levelled by the now defunct British paper, the News of the World. They said that Amir, along with others, had deliberately bowled no-balls in return for payment from those with vested interests in betting. 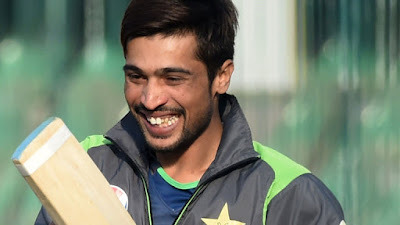 The International Cricket Council banned Mohammed Amir for five years - a lenient sentence compared to those he was said to have conspired with. In a criminal court he pled guilty and served three months in a young offenders’ institute, but has since returned to international cricket determined to salvage his reputation. A fascinating character with a story as colourful as he is, Amir’s chequered background makes him an intriguing public speaker, and one whose past misdemeanours only make his current determination to win over the public more endearing. Available to book for celebrity speaking engagements of all sorts, Amir is the perfect example to teach an audience about considering the consequences of their actions and motivate them to behave with integrity. He’s a witty and engaging speaker who’s sure to charm any audience and particularly fascinate those with an interest in the world of cricket. Get in touch with London based agency MN2S to find out more about booking his services.